Below are some Tourism Portals that might be of interest to tourists. A1 Kynaston is Jeffreys Bay Accommodation where you "arrive as guests and leave as friends". 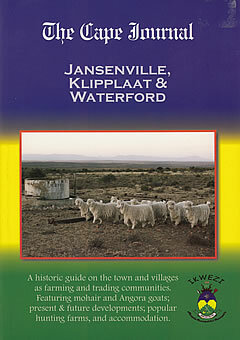 Baviaanskloof Hartland Tourism - Accommodation and things to do in the Baviaanskloof Hartland. The farming area is well known for its guest accommodation ranging from luxury lodges to campsites, from tree houses to caves. Dog Hotel Cape Town - Pets Palace Boutique Hotel - a dog hotel in the Table View area of Cape Town. Located conveniently near popular shopping centers. Jeffreys Bay Holiday Accommodation - Waterside Living offers a selection of choice seaside or canal side holiday accommodation in and around Jeffreys Bay for the perfect holiday. A unique and very popular experience! Cave living with all the amenities in the fabulous Baviaanskloof. Baviaanskloof accommodation with a BIG difference! Alan Tours, based in the fun-filled, coastal holiday City of Port Elizabeth on the Sunshine Coast, close to the world famous Addo Elephant National Park in the Eastern Cape is proud to promote South Africa, home to the Big 5 and Big 7 Safaris! If budget Port Elizabeth Self Catering Accommodation is what you are looking for you need look no further than St Marcus. Wilfred and Valerie welcome and cordially invite you to their beautifully restored Karoo house set in a landscaped garden. This Bed and Breakfast will surprise and delight you. Somerset East Tourism. Discover exciting game viewing, wonderful scenery, gracious accommodation and a fascinating piece of South Africa's history.